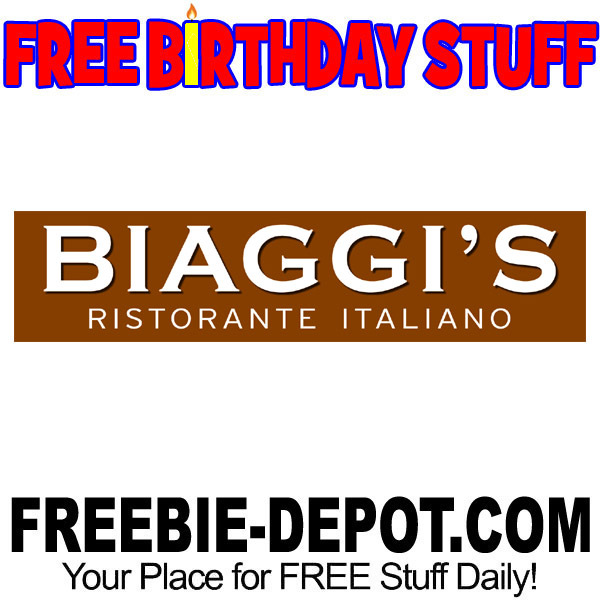 If you are lucky enough to have a Biaggi’s Ristorante Italiano located nearby, you can get a delicious FREE Italian Birthday Dessert! Just sign up for Club Biaggi’s and they will email you a certificate to print out for your birthday that is good for a FREE dessert when you purchase a pasta or an entree. Offer is valid for dine-in only for 14-Days from the date on the email. FREE Dessert choices include the classic Italian dessert, Tiramisu, plus Chocolate Cake, Creme Brulee, Cheesecake, Lemon Tower Cake Bread Pudding and the incredible Bomboloni Italian Donuts (warm, crispy and caramelly with vanilla bean gelato – YUM! ).